This is my favourite type of Pulao or as lovingly we call it in our family Poloa 🙂 . I made it easy! 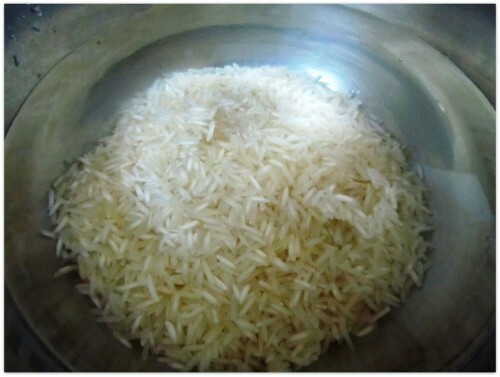 In a bowl keep the rice immersed for half an hour and then drain the water. 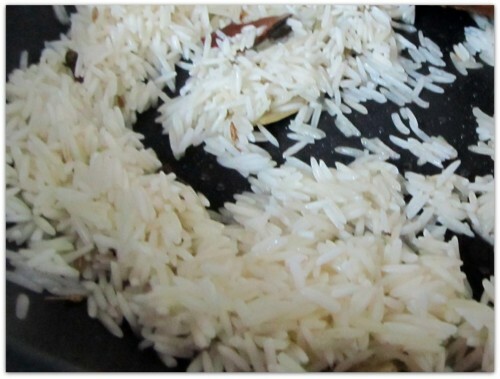 Clean the rice under running water couple of times. 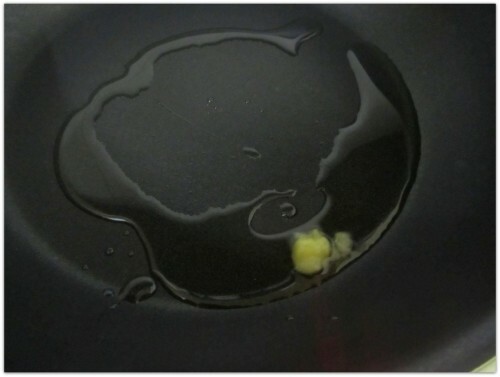 In a kadai take couple of table-spoons full of vegetable oil and one table spoon ghee, wait till the ghee melts and the oil is moderately hot. 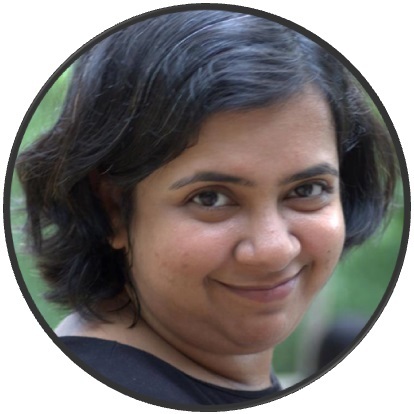 Add a bay leaf and whole spices, a pinch of whole cumin seeds, one cinnamon stick, couple of green cardamom, three-four cloves. 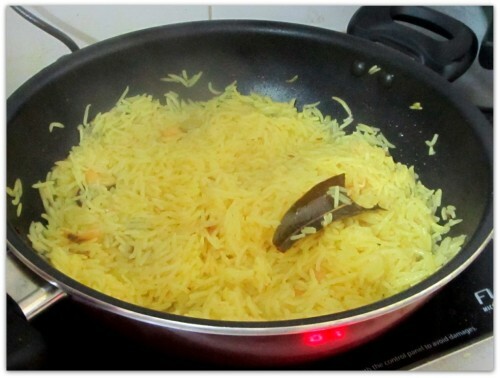 Stir for few seconds and then add the rice in. 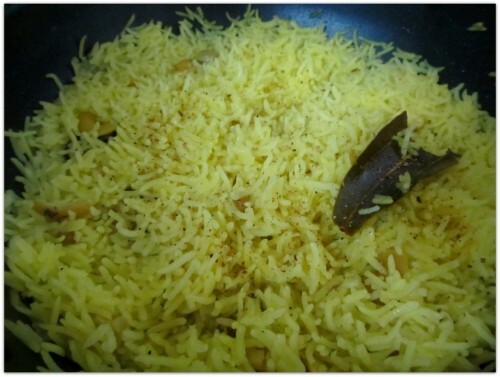 Sauté the rice for a minute with a pinch of turmeric, which will bring the yellow colour of the pulao. 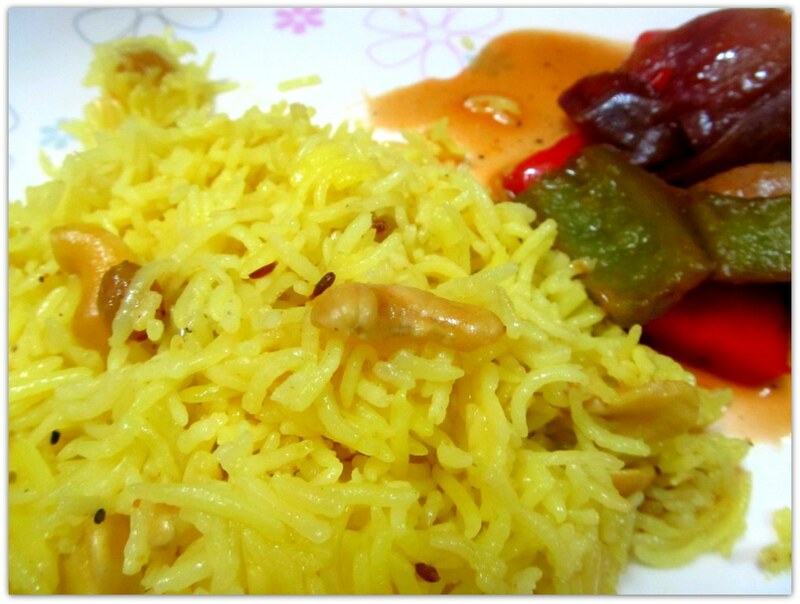 Add a table-spoon full of sugar, a pinch of salt, 10-12 cashew nuts, 10-12 raisins and sauté some more in low heat. 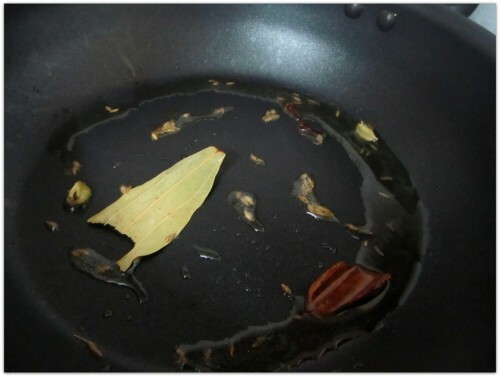 Add the water and cover the pan. 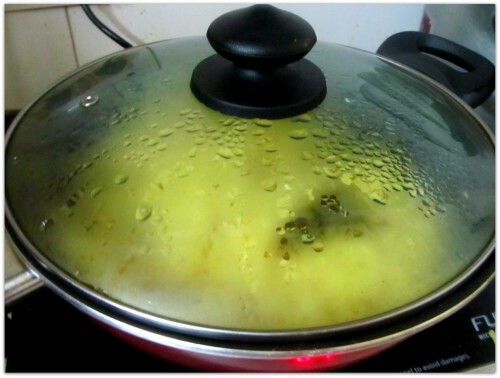 Cook till the rice is done and all the water has evaporated. If required add a little water in between. 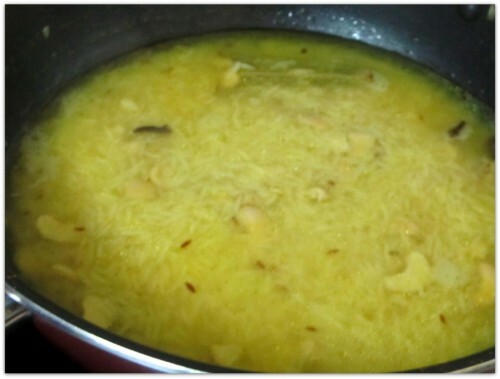 Sprinkle some powdered garam-mashla on top and serve with your favourite dry veg or non-veg curry. Add turmeric powder, cashew nuts, raisins, sugar and salt. Sauté for another minute. 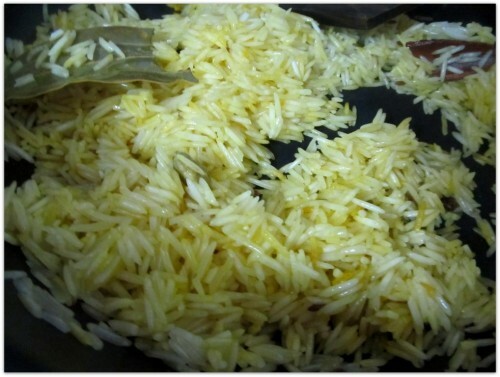 Sweet Basanti Pulao ready to serve with your favourite saahi curry. 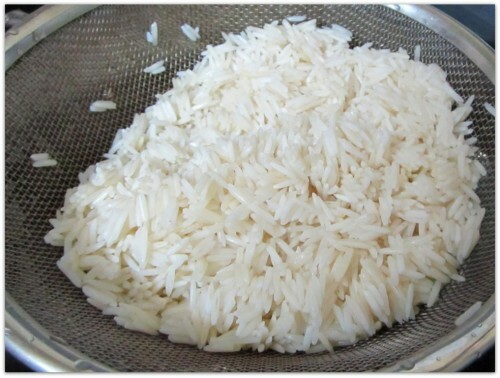 What would be the rice to water ratio?